The Alma Mater is a tradition that displays how much pride students and faculty take in their school. 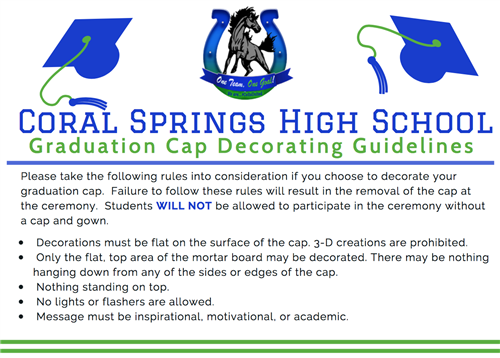 Here at Coral Springs High we take a lot of pride in our school and it is always present in the school's atmosphere. Our Alma Mater was composed by Sue Mitchell Wallace in 1978. 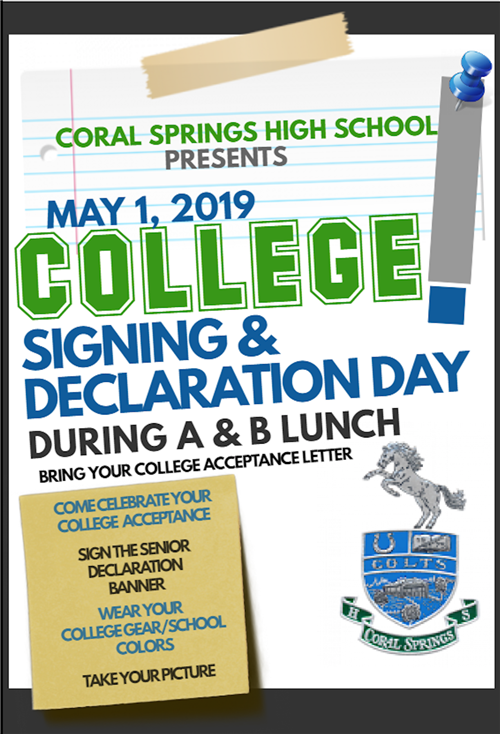 Hail to thee Coral Springs, let everyone hear us sing praise to thee our guide, in knowledge, truth and pride. 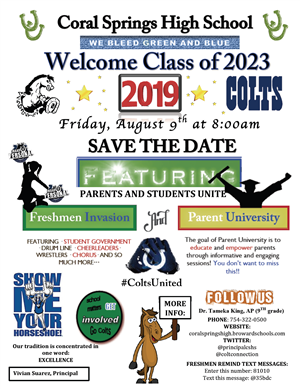 As we seek new frontiers we’ll remember and revere the Colts of green and blue Coral Springs High hail to you.